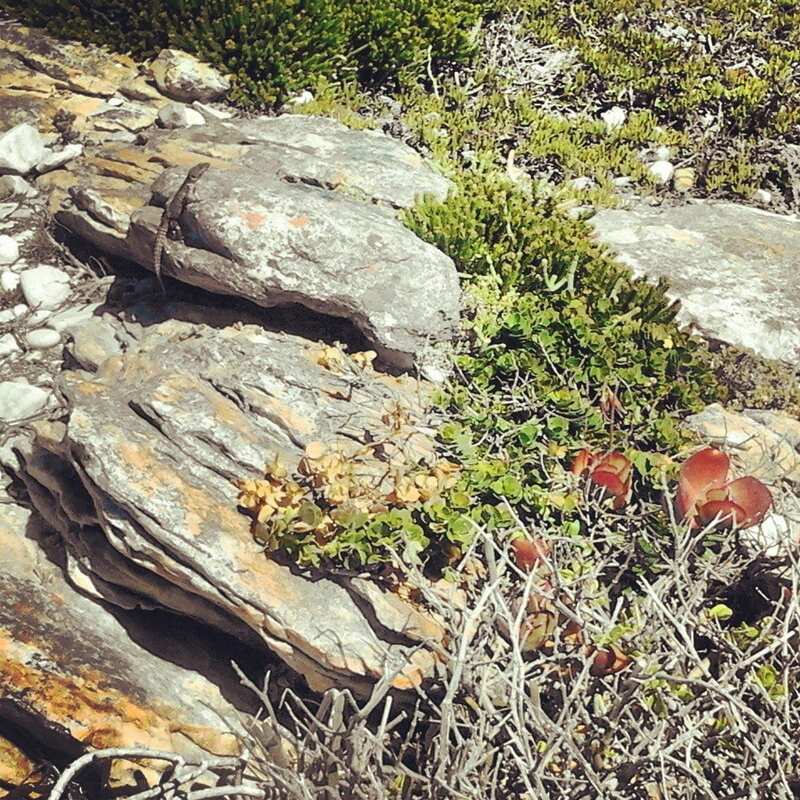 Nestled between the Cape Overberg towns of Gansbaai and Struisbaai, you find the tiny coastal-lying L’Agulhas. 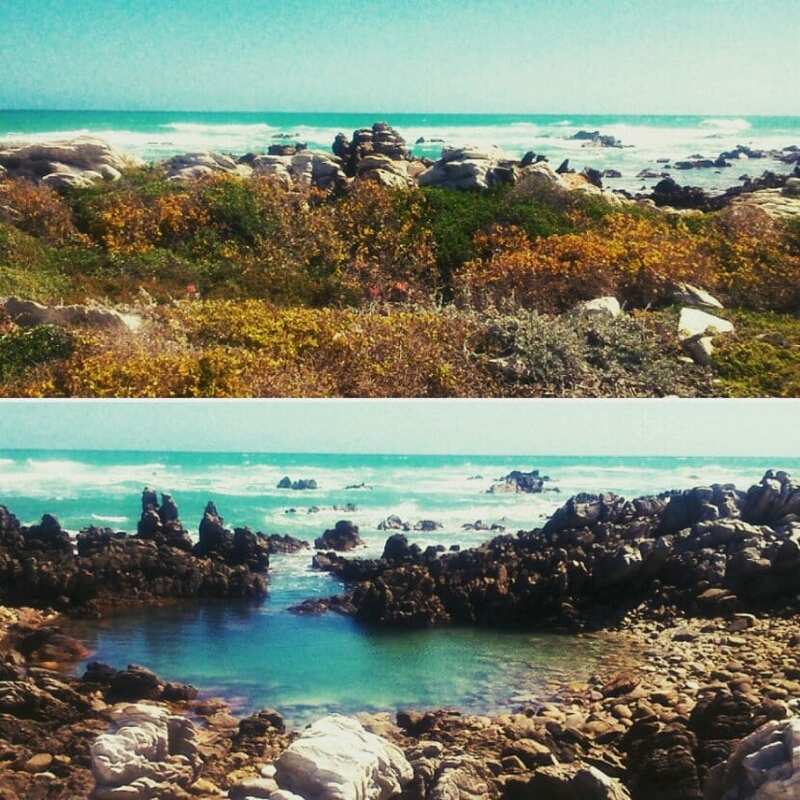 In the nearby Cape Agulhas National Park, aside from encountering its richly vegetated, beautifully rugged coastal plain – which, covers 20, 959 hectare, is 72 km long and incorporates 60 km of rocky, jagged shoreline and 45 km of sandy beach continuously kissed by crashing waves – you can stand at the southernmost tip of Africa where the Atlantic- and Indian Oceans famously come together and see the second oldest operational lighthouse in South Africa in the most iconic Cape Agulhas Lighthouse. 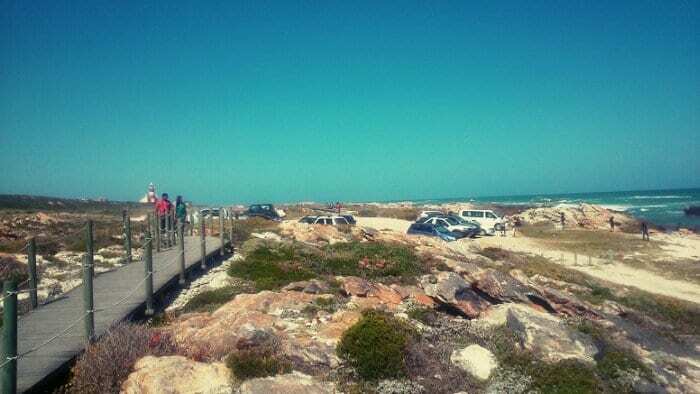 200 km or so south-east of Cape Town and stretching east from the seaside town of Struisbaai and almost west to Pearly Beach, the windswept Cape Agulhas National Park affords visitors the most panoramic and truly wild vistas in this ancient cultural (dating back thousands of years) and natural heritage site. 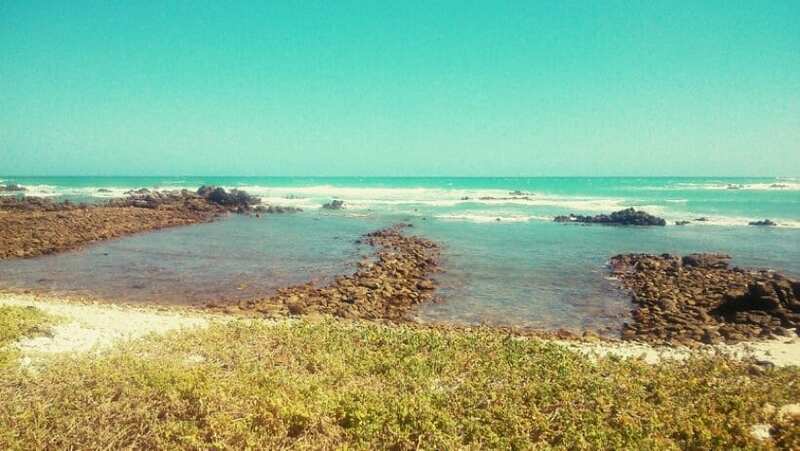 According to http://sanparks.co.za, the cultural aspect dates back to …”when the Khoi-khoi people trapped fish using ingeniously constructed tidal traps”. Later, European settlers arrived in the area in the early 1770s and by the 19th century, the land was already being utilised for farming just inland. 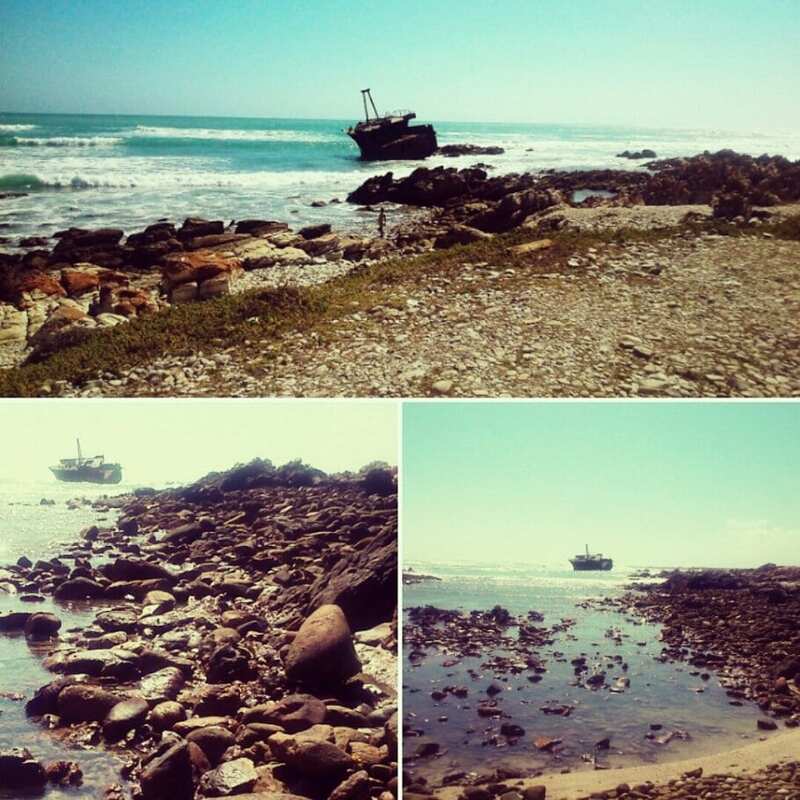 Due to the impossibly dangerous nature of this shoreline – known as the legendary and fearsome ‘Cape of Storms’ – many ships were wrecked over the years en route east via Cape Agulhas. 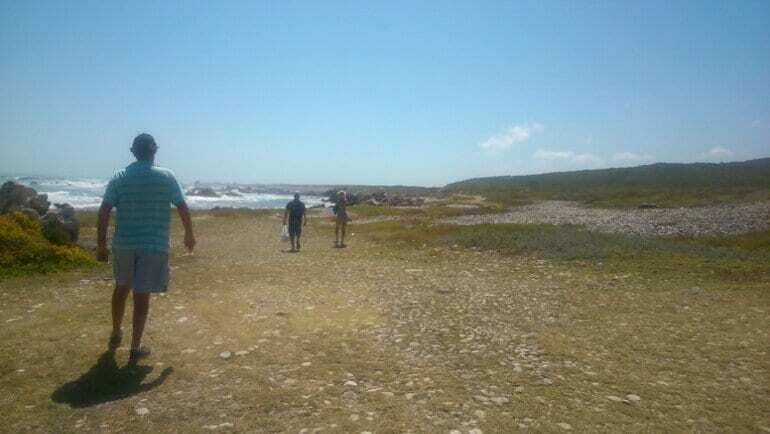 This resulted in terrible loss of human life and the wrecking of many great ships (there is now even a ‘Shipwreck Hiking Trail’ – contact no. 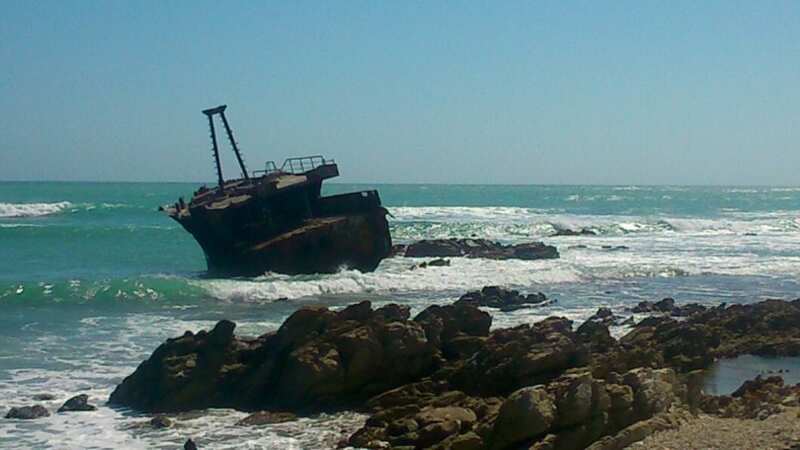 : +27 (028) 435 7270 in the area), including such ships as: Zoetendal, Arniston, Meisho Maru No.38 (pictured below) and Birkenhead. 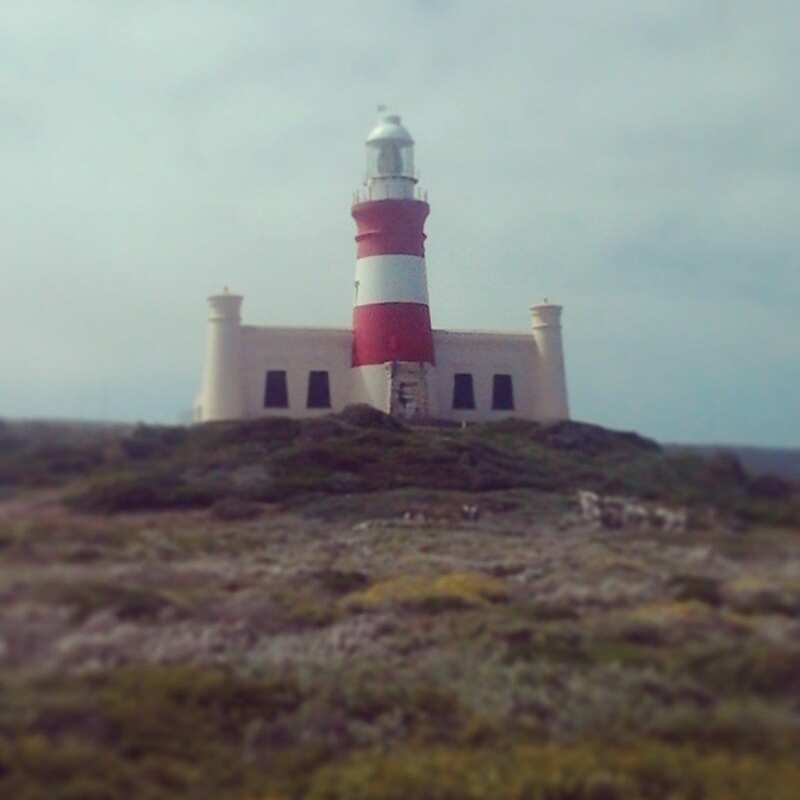 In an effort to prevent further wreckage and loss of life, the Cape Agulhas Lighthouse came into existence on March 1st, 1849. 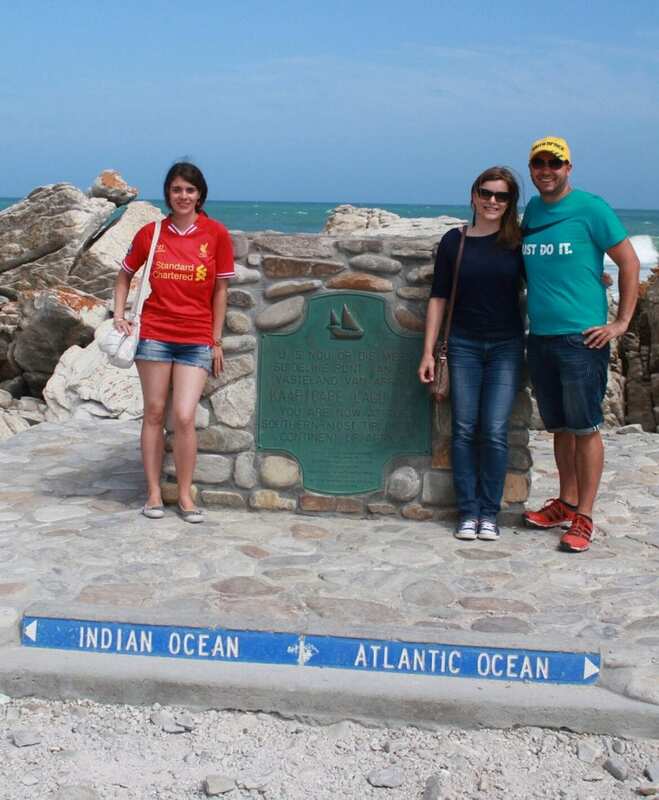 Since then, it has done almost 150 + years duty as possibly the most important sea beacon along the South African coastline. It was financed by traders as far as the then-Bombay, London and St Helena. 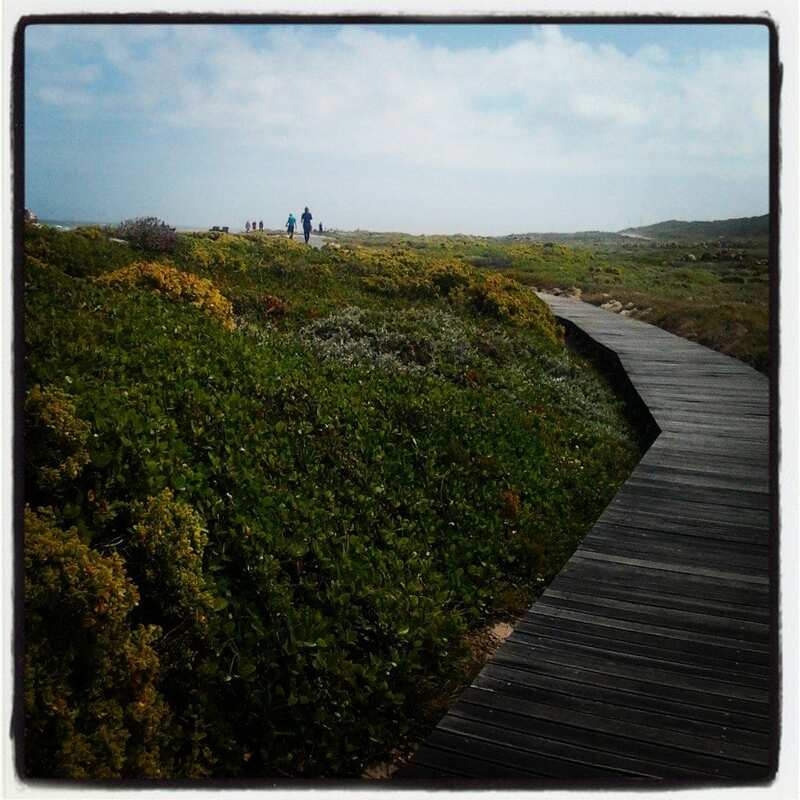 Aside from enjoying a tour of the much beloved and as of, 1973 national monument building and Western Cape provincial heritage site that is the Egyptian Pharos-style, red-and-white sandstone lighthouse (home to the only lighthouse museum in the country), you can walk along the rather newly constructed wooden walkway, all whilst enjoying the sights and sounds of the beautiful Park – inaugurated on September 23rd, 1999 – and head over to the southernmost tip of Africa landmark where you can then take your turn to pose for a picture (with a truly amazing and unique backdrop) at the point where the famous two oceans meet. The place is usually jammed packed with tourists (and locals too), who are eager to snap a photo in this rather special part of the country so you will need to be fairly patient but while you wait your turn, be sure to carefully explore the nearby often orange and decidedly jagged rocky outcrops and watch the wild waves as they crash against the shoreline. 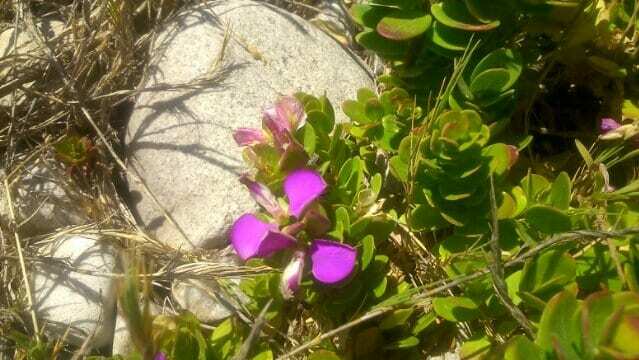 http://nature-reserve.co.za says that Bontebok, Cape Grysbok, Steenbok, Grey Rhebok are also resident along the coastal plains and the region is also an important habitat for Honey Badgers, Cape Clawless Otters and Caracals. 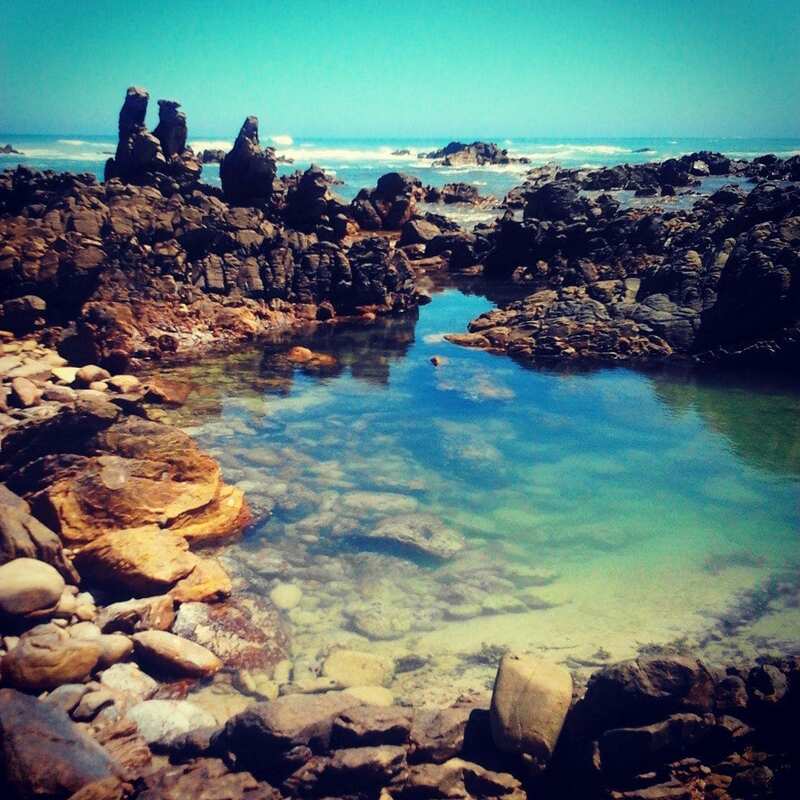 Three km offshore on Geyser Rock (which, along with Dyer Island, is included in the protected marine area and are apparently breeding locations for Kelp Gulls, African Penguins and varied Cormorant species) resides a colony of Cape Fur Seals. 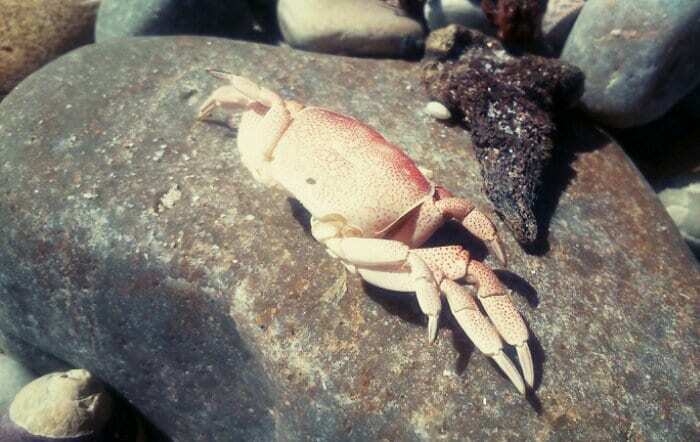 They can also be commonly seen just offshore and sometimes on the mainland beach area. 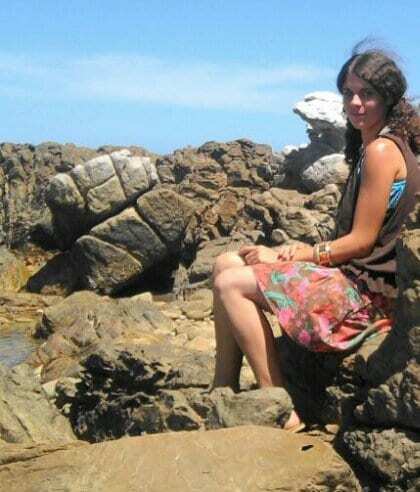 African Black Oystercatchers, Damara Terns and Cape Platana birds are also famously indigenous to this region. 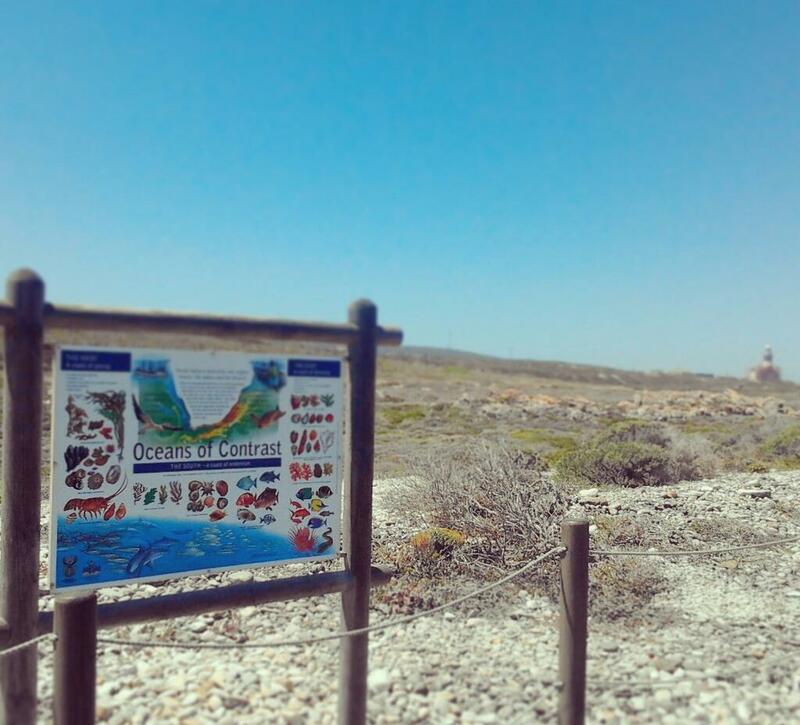 If you’d like to enjoy a tour of the nearby lighthouse, which casts a carefully watchful eye and protective beam over the area, you can do so for R15 (for adults) and R7.50 (children under 11). 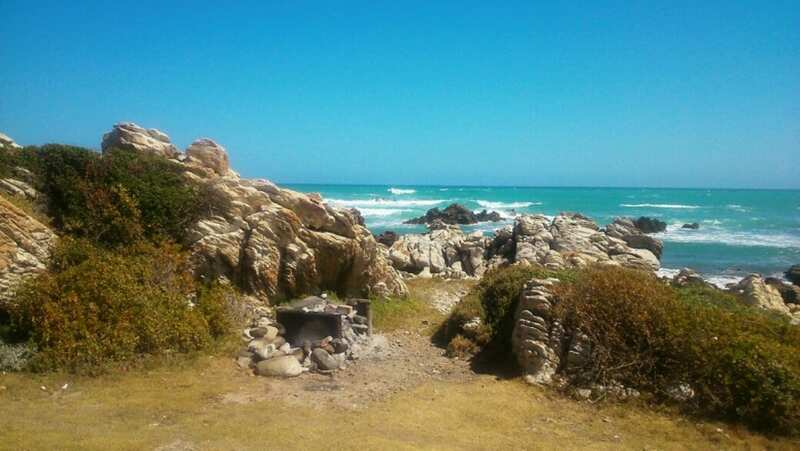 If you’d like to explore the Park to a greater degree and are eager to spend a few days in the area, there are guest cottages and rest camps found within the Park, as well as ample accommodation in L’Agulhas (many of its lovely buildings are made from stone), Struisbaai or even Bredasdorp. 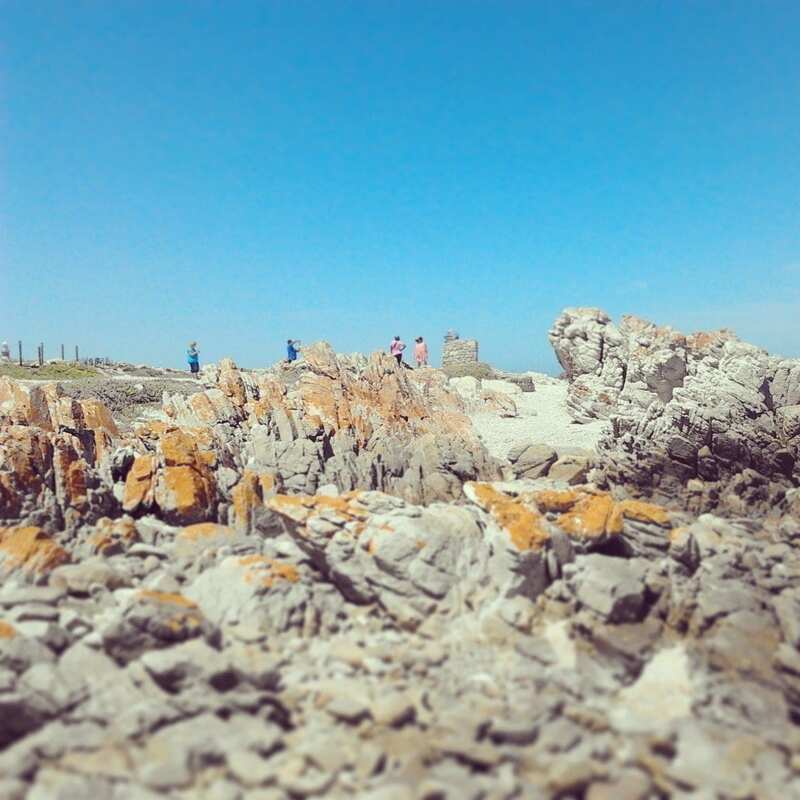 The Overberg region is at its finest from September to May (spring to early autumn) but it’s a spectacular place to visit throughout the year, in my opinion. 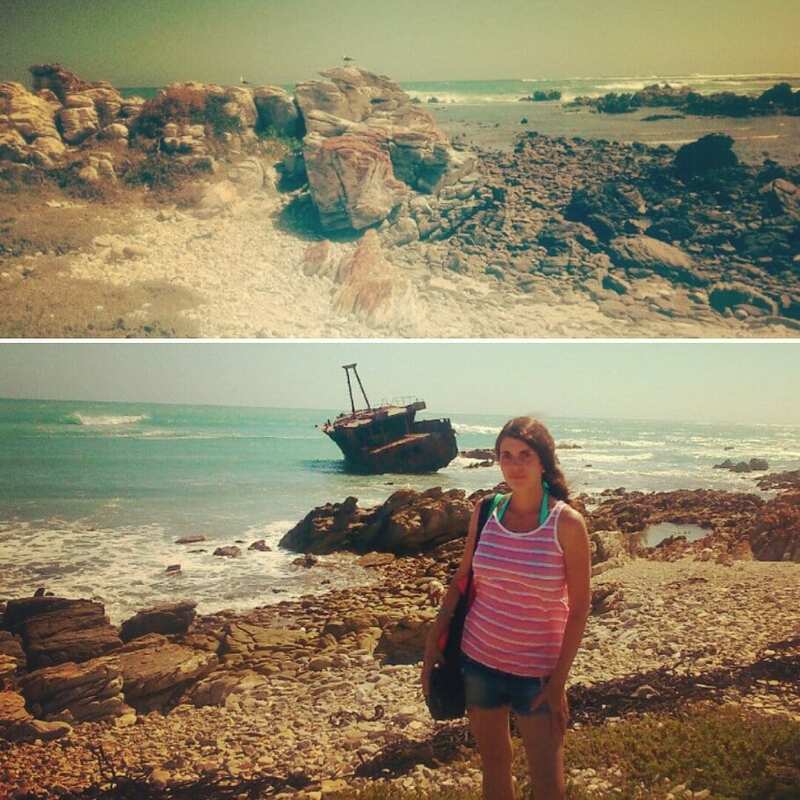 I have been there during the height of the busy, hot summer months and I always enjoy heading to L’Agulhas and the Cape Agulhas National Park and Lighthouse part of it. It’s a truly stunning place to visit. 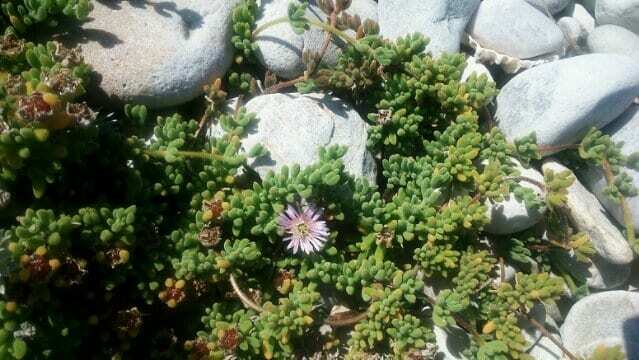 To get there from Cape Town, take the N2 going east, turn off at the Caledon off-ramp onto the R316, pass through the ‘cute’ towns of Napier and Bredasdorp (stop by the ‘Bredasdorp Shipwreck Musuem’ while you’re there!) 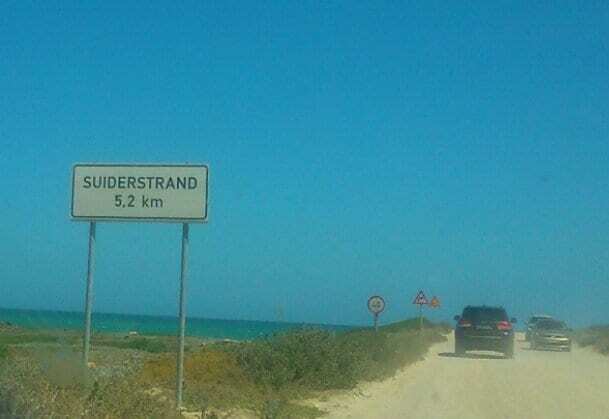 and follow the R319 through the lovely, quaint beach town Struisbaai (a personal favourite of mine) until you reach L’Agulhas. 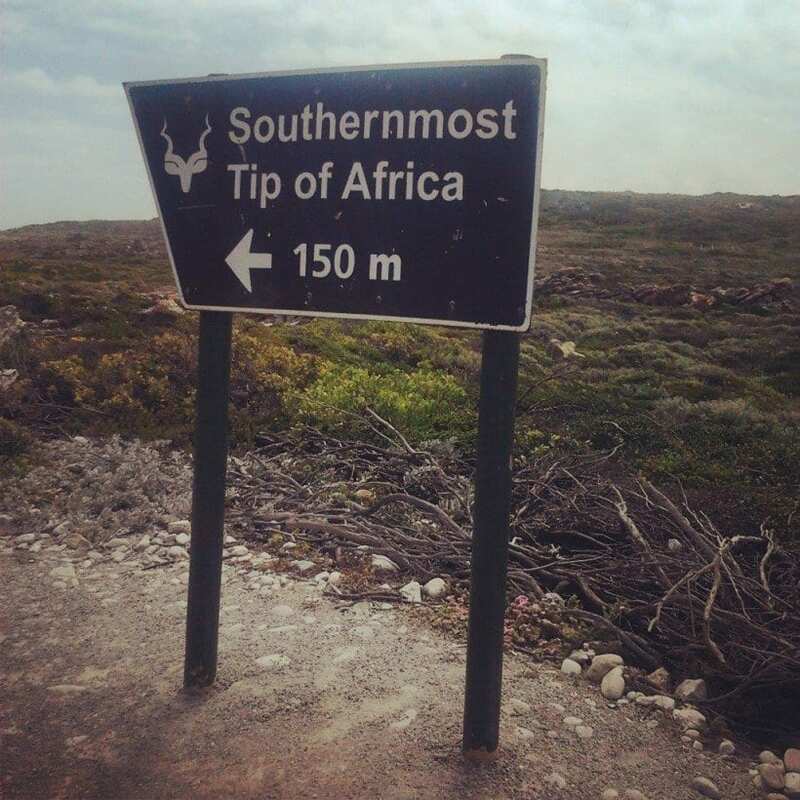 * Third oldest in S.A. and the second oldest one still in operation. * Is so well-loved that when it faced demolition and was deemed ‘unsafe’ the local council took up the responsibility of its upkeep. 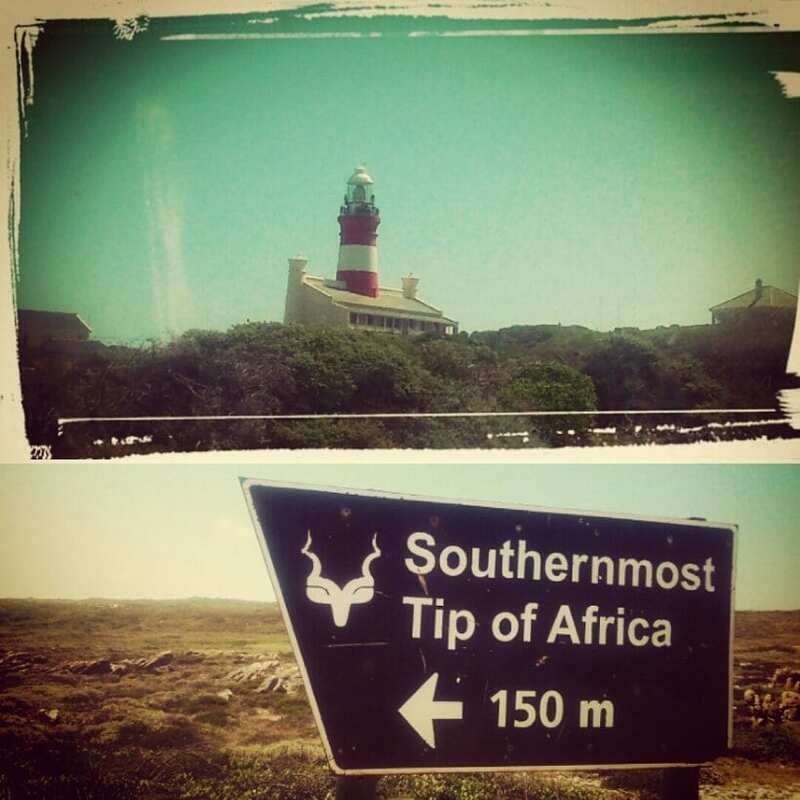 * Features the only lighthouse museum in S.A.
* Features a round tower, is 27 m high, has a 31 m focal height and a 1st Order Fresnel Lens, with a nautical mile range of 30 (or 56 km). 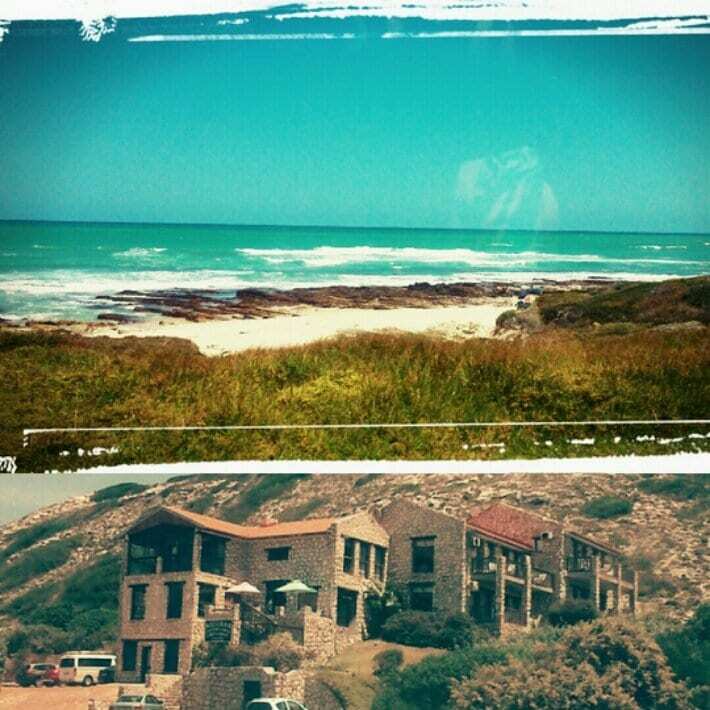 * Built on the land donated by Michiel van Breda, founder of Bredasdorp. * Its 7.5 megacandela beacon rotates and gives off a white flash every 5 seconds. 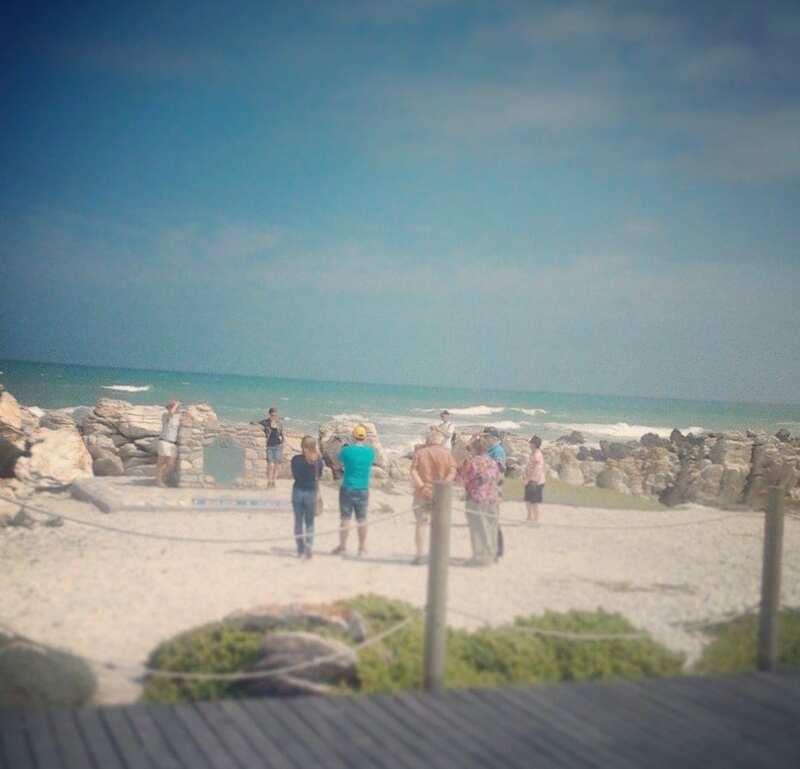 * Its restoration and reconstruction was performed by the Bredasdorp Shipwreck Museum. 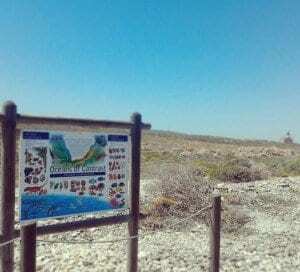 For more info., please contact Agulhas National Park on: +27 (028) 435 6222. 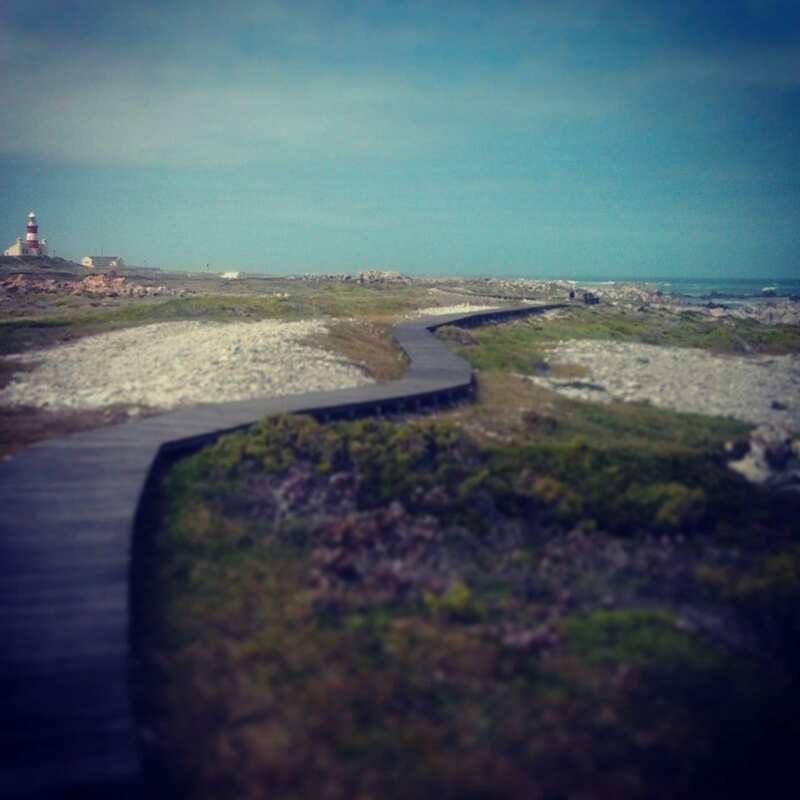 Many thanks to the http://m.wikipedia.org ‘Cape Agulhas Lighthouse’ and ‘(Cape) Agulhas National Park’ pages, as well as: http://nature-reserve.co.za, http://www.southafrica.net and http://www.sanparks.co.za for the additional info. used in this post.